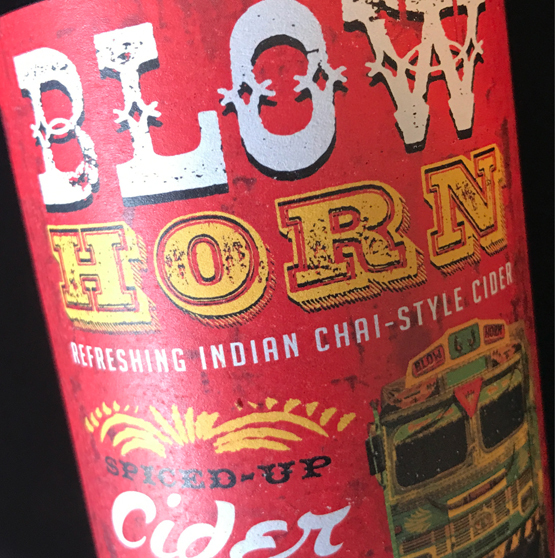 Born of the Indian road trip, BlowHorn is the omnipresent tailgate instruction on all sub-continent trucks - toot-toot to make your presence felt.A great phrase to remind us of the bustling chai street scene where exotic spices re-invigorate the weary traveller. Our own classic chai infusion made from wholes spices makes this fire dowsing tipple perfect for fiesty foods, as a winter warmer or Indian summer cooler. A chai cider... 'chai-der' anyone? Our own secret recipe of whole chai spices go to making this medium cider a unique and refreshing revelation, awakening senses you didn't know you had. A balanced bittersweet base blended with the mystical spice infusion sets your heart racing to pick out the beguiling flavours flirting with your synapses. Uniquely satisfying.